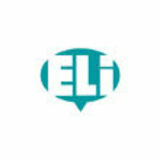 APP ELI LINK Use the ELILINK app <logo> to listen and look at the multimedia content of your Digital Book on your smartphone or tablet. Download the app from App Store for iOS or from Google Play for Android. Frame the page of your book. Access the content and download. Three Little Birds Value: Be helpful. I like… / I don’t like... Do you like…? Yes, I do. / No, I don’t. Fruit Trees Value: Be polite – say Thank you. I’ve got (two) (eyes). I’ve got (one) (nose). There’s a (noise). There’s a (smell). What’s that Noise? Value: Have fun with your family. Let’s go to (the playground). I like (the swing). Let’s play on (the seesaw). It’s (rainy). The School Playground Value: Work together and play together. Sharing a Tree Value: We can share. Where’s (mummy)? He’s/She’s in the (bedroom). He/She isn’t in the (kitchen). Our New Home Value: We say sorry for mistakes. What’s wrong? Are you (sad)? Yes, I am. / No, I’m not. I’m (hungry). The Story of Snow White Value: Be kind, don’t be mean. It’s a/an… (ostrich). It’s got (two legs). They’re (tigers). They’ve got (black stripes). On Safari Value: Respect animals. What day is it today? It’s (Monday). When is your birthday? My birthday is on (Saturday). A Surprise Party Value: Celebrate together. Welcome to Smart Start, a three-level English course for children aged between 3 and 5 which offers a fun and smart start for very young learners. The approach and philosophy of Smart Start is to nurture the growth of each individual child in terms of their language development whilst also nurturing their emotional, creative, mathematical and physical development as they move from nursery through kindergarten to the start of primary school. Smart Start is a high-level pre-primary course aimed at schools that teach 5+ hours a week of English. Specially developed to cater for all the different interests and learning styles of young learners, Smart Start aims to inspire children as they take their first steps in English language learning. Young learners Pre-primary aged children generally learn quickly but often do not always retain what they have learned. New key language is introduced in every unit in lexical sets connected to themes and topics relevant and connected to young learners’ own world and experiences. The topics start close to home and school in Level 1 and gently take the learners into settings and experiences in the wider world around them by the end of Level 3. The words chosen are always high frequency, usually personalised segments of language which fit with the unit topic. The language taught is then recycled in subsequent units through the teaching notes and the language the teacher uses in class. As with all courses, a teacher needs to use a Teacher’s Book to best exploit the materials created in the student components but never more so than with preprimary. The amount of teaching in terms of language used is not expected to equal the amount of language that children produce. For this reason, the teacher is guided as to how to use and recycle language in class. Children in a pre-school class can differ in many ways such as age, energy, size, interests, adaptability, experience and familiarity with the world outside the home, emotional maturity, linguistic aptitude and physical development. It is not possible or realistic to expect the same outcomes for all children who use the course. Some children will learn more English than others; some children will be better at maths. As part of individualising the materials for children, teaching and learning activities are presented in such a way as to cater for different learning styles. The engaging characters, Tom and Izzy (twin brother and sister), introduce children to the world of English and create a positive learning environment. Their adventures with their friends, family and adorable cat, Coco, contextualise the language in a fun and humorous way. The two class CDs for the teacher contain all of the audio material for the Student’s Book, including the vocabulary, dialogues, chants, songs, and stories. The recordings feature only native speakers of English to ensure the children are exposed to authentic and natural pronunciation. Teacher’s DVD Teacher’s This component features the Smart Student’s Book that can be used Start with an interactive whiteboard. 2 DVD rom It features vocabulary and phonics games plus the animated stories. The Activity Book, Numeracy Book and Literacy Book in PDF format are also included for classroom use. The flashcards cover all of the core vocabulary. They are an important teaching tool at pre-school level and can be used to introduce and practise key items in the majority of lessons. Digital Book The complementary Digital Book is for children to use at home or in the school computer room. It contains audio tracks in MP3 format plus a selection of interactive games to reinforce and consolidate language while the children have fun. There are also animated versions of the stories for the children to enjoy. Parents can access and download this material using the printed code in the inside front cover of the Student’s Book. Poster Smart Start 2 Pack The Coco the cat hand puppet can be used in all lessons to introduce vocabulary, demonstrate games and activities and encourage critical thinking. Coco is a kind character who doesn’t always do the right thing and provides a fun element of humour! able to be supported by artwork such as pronouns, connectors and articles, children are taught a sight word system. The sight words are very high-frequency words that children are taught to recognise by sight. In Level 3 the children are introduced to two-letter consonant and vowel sound combinations (diagraphs) in frequency order. They use these new sounds in combination with the sounds from Level 1 and 2 as building blocks to sound out and blend new words. In Smart Start we use fun phonics chants and engaging and attractive artwork to present the words and sentences. The Teacher’s Book lesson notes give ideas for fun phonics games and activities to allow children to explore and enjoy their early reading experience. All the phonics methodology and strategies are based on the Letters and Sounds approach used in the Early Years Foundation Stage (EYFS) in the UK. For more information and activity ideas see www.gov.uk/early-years-foundation-stage. An entertaining reader gives children the opportunity to apply all their pre-reading skills and move towards autonomous reading. Audio tracks can be downloaded in MP3 format from www.elionline.smartstart. The Numeracy Book provides further activities to recognise written and number forms from 1-20, counting practice, simple additions and sums, number bonds, plus sequences and patterns. The Literacy Book gives children the chance to extend their skills. It introduces the upper case form of each letter, and consolidates phonics, and early reading. TOUR OF A UNIT - Lesson 1 Vocabulary is presented through a scene featuring the course characters, twins Tom and Izzy, and their friends, family and their adorable cat, Coco. On either side of the scene there are picture dictionary strips with the key vocabulary labelled. The words on the pages are for environmental exposure to the written language and are fully supported by pictures and the audio. They are not supposed to be read by the children but you can highlight any initial letter sounds of the key vocabulary that the children have already learned. Key Language: door, window, table, chair, bin, board, bag, notebook. Activities: 1 Tr 1.08 Listen, point and say. 2 Place stickers. 3 Talk about the picture and match. 4 Tr 1.09 Say the chant and point. The lesson ends with a song or a chant featuring the new vocabulary. The picture scene has three or four faded-out spots of key vocabulary items that the children complete with stickers. This type of sticker activity is enjoyable and engaging and involves visual discrimination skills and fine motor skills. Once the scene is complete, children are asked to talk about the picture. This involves pointing and naming the key items (and any other items they know) in the scene. Prompt the children with simple questions such as, Whatâ&#x20AC;&#x2122;s this? What colour is it? etc. Clear reference to the Digital Book that contains an array of interactive activities, plus all of the audio tracks in MP3 format. Clear reference to the activities in the Activity Book. Lesson 2 - TOUR OF A UNIT The Let’s learn! page presents the key language structure through a humorous cartoon usually featuring Tom, Izzy and Coco. These are light-hearted and often end with Coco causing mischief or in some kind of fix! The dialogue is on the page as speech bubbles and on the audio. The speech bubbles are provided for environmental exposure to the text and children are not expected to read them. Oh, Coco! Where’s the bin? It’s next to the door. There is always a preliteracy task on the page where children respond to a question or complete a sentence by drawing or circling something that personalizes the language for them. The children sing a song or do a chant at the end of the lesson to practise and consolidate the language. under Key Language: Where’s my/the (bag)? It’s under, on, next to (the table). Activities: 1 Tr 1.10 Listen to the conversation. 2 Act it out. 3 Read, circle and draw. 4 Tr 1.11-1.12 Sing the song and do the actions. After hearing the dialogue a few times, children are encouraged to act it out in small groups. Children learn one sound for each letter of the alphabet. The sounds are introduced in frequency groups and the words are all supported by artwork. The audio provides pronunciation practice and recognition of the sounds. Tr 1.14 Listen and say. 4 Read and trace. Children are introduced to simple CVC (consonant-vowel-consonant) words e.g. cat, tap and begin to aurally decode (i.e. read) them. Children learn a number of the most common nondecodable sight words e.g. the, and, etc. They trace, copy and write individual letters and words. Lesson 4 - TOUR OF A UNIT These are CLIL (Content and Language Integrated Learning) projects where children explore the unit theme and language through science, arts and crafts and social studies, by carrying out a practical task. Photos of children are used to model the project and the lesson notes support the teacher to set-up and undertake the project in class. The craft activities are easy to prepare and do in the classroom and donâ&#x20AC;&#x2122;t usually require detailed preparation. Cutting, sticking and drawing skills that help to develop childrenâ&#x20AC;&#x2122;s fine motor abilities are practised in these lessons as well as communication and collaboration skills. A second vocabulary set of a further three or four topic-related words is presented in this lesson. Key Language: pencil, crayon, book, bookmark; cut, draw, write. Activities: 1 Tr 1.15 Listen and point. 2 Look and say. 3 Make a bookmark and put it in your book. of the course. Again, the story is provided on the audio, and speech bubbles and/or captions provide the story text on the page but are not there for children to read, only to expose them to the conventions of English text. The fun, engaging stories are told only with language the children have been exposed to so they will feel a sense of fulfillment that they can understand and enjoy them. This helps nurture a love of reading and storytelling and encourages the children to express themselves creatively. Three Little Birds It’s show and tell. Oh, no! Where’s the blue bird? A story song or chant accompanies each story. Key Language: blue, green, yellow, bird; Where’s the (blue bird)? It’s on the (board). Activities: 1 Talk about the pictures. Make predictions. 2 Tr 1.16 Listen to the story. 3 Act it out. 4 Tr 1.17 Sing the song and do the actions. The lesson notes provide ideas for storytelling, role-play, and artistic expression. By pretending and playing, children use their imagination and express their feelings and thoughts in a natural context. It’s next to the door. Where’s the green bird? Oh! Where’s the yellow bird? The yellow bird is on the table! Now it’s under the bin! The Values lesson gives the children another chance to share and enjoy the story. There is then a focus on the value which the story teaches. Teachers are asked to discuss the value with the children and are supported by the teaching notes. The values taught in Level 2 are: being helpful, saying thank you, having fun with your family, working and playing together, sharing, saying sorry, being kind, respecting animals, celebrating together. In these lessons the use of L1 is useful and the teacher can lead the discussion in L1 and give feedback of simple ideas in English. Tr 1.19 Listen and point. 4 Talk about the value. All of the stories are brought to life in the animated stories in the Digital Book for the children to enjoy as they reinforce and consolidate language. TOUR OF A UNIT - Lesson 7 In level 2, numbers 1-20 are approached as vocabulary items but children also learn concepts such as counting, place value, number and quantity correlation, simple additions, counting back, number bonds, patterns and sequences. The Letâ&#x20AC;&#x2122;s count! lessons are numeracy lessons where children explore key vocabulary through basic maths and numeracy skills. Children practise tracing and writing numbers. Key Language: 1 - 5 - 6; (one) add (one) is (two). Activities: 1 Trace and count. 2 Colour the correct number of items. 3 Count and do the sums. Write the answer. 4 Tr 1.20 Say the chant and do the actions. There are also number and counting songs and chants. Lesson 8 - TOUR OF A UNIT At the end of each unit there is a Review lesson. Children do a simple listening task to practise some of the key language and vocabulary from the unit. This is followed by a personalisation task to consolidate the language. Key Language: Unit 1 review. Activities: 1 Point and say. 2 Tr 1.21 Listen and circle. 3 Ask and answer with Where isâ&#x20AC;Ś? 4 Cut and stick to make a collage of your classroom. After every three units there is a Real World lesson. These lessons feature children from around the world who contextualise the vocabulary and language from the previous units in a real-life setting. Key Language: I’m from (the UK).These are my friends. Review: girl, apple, crayons, table, school, window, teacher, boy, book, children, biscuits, milk, banana, eyes, ears, mouths; I’m (Sophie). This is my (school). I’ve got (crayons). She’s got a (book). It’s lunchtime. They’ve got biscuits, milk and bananas. These lessons are highly photographic and provide a contrast with the illustrations. They take children away from home to share English as a global language. 4 Activities: 1 Talk about the pictures. 2 Tr 1.52 Listen, point and say. 3 Tr 1.53 Listen and point. 4 Look and count: How many eyes? How many mouths? 5 Class Project: take photos of your school and classroom. Make a display. Cut-Out Picture Cards and Stickers - TOUR OF A UNIT At the back of the Studentâ&#x20AC;&#x2122;s Book there is a section with cut-out vocabulary picture cards. These can be used in the classroom to play games in pairs or teams, or the children can take them home to create a pleasant school-home link, encouraging them to show their family what they are learning in their English lessons. The stickers allow the children to complete Lesson 1 of each unit. Find the flashcard Revise vocabulary by playing a game with the flashcards. Hide the flashcards around the classroom. Play one of the songs or chants while the children walk around to find them. Ask them to shout the word out loud when they find the flashcard. Matching Put a few flashcards on the board. Put the flashcards of the numbers under these. Say the name of the flashcard and ask What number is it? The children say the number. Then reverse the procedure. Say a number and ask What item is it? Odd-one-out Put on the board a set of flashcards from one unit and one flashcard from a previous unit. Ask the class to identify the odd-one-out. Uncover the card Cover one of the flashcards with a sheet of dark paper. Show the covered flashcard and tell the class they have to guess what it is. Start moving the paper very slowly to uncover the card. Say What is it? If the children can’t guess, continue to move the sheet of paper and keep asking the question until they identify the flashcard. Yes/No activities 1) Choose a set of flashcards. Show the children one flashcard at a time and say one of the words at random, not necessarily of the object on the flashcard. The children shout Yes if the word corresponds to the card. Do this faster and faster to make it into a game. 2) Distribute the flashcards to some children. Then call out one word, the child with that flashcard runs to the board and sticks the card. Teach the class to shout Yes or No to confirm the answer. 3) Use the Coco puppet and Izzy and Tom cut-outs. Tell the children that you are going to make some statements. They have to shout Yes or No. Hold up the Coco puppet and say I am a cat. The class shouts Yes. Hold up Izzy and say I am a boy. (No) Hold up Tom and say I am a boy. (Yes) Continue with other statements referring to the target lesson. The class shouts Yes or No. More confident children may be able to correct the wrong statements. This fun activity is particularly suitable to the story pages. A blindfold game Prepare some objects with recognisable shapes or smells (an orange, a ball, a pen, a carrot, etc.) and a box. Blindfold a group of children, ask them to sit down in a circle, give the box with one object inside to the first child and ask What can you smell / touch etc.? Do not confirm their answer, but ask them to pass the box to the next blindfolded child. Now it is the class turn to ask What is it? or What can you smell / touch etc.? Coco’s whisper This game is known to English children as Chinese Whispers. Put all the children in a line. Stand at the beginning of the line holding Coco. Tell the class that Coco is going to whisper a word in your ear and you will whisper it very quietly to the child standing next to you in the line. This child will whisper it to the next child and so on. The last child will say the word out loud, and it may not be the one you said! This is a fun activity and it can be used as a way of getting the class to calm down after some excitement: everybody will be very quiet in order to hear the word! Guess the drawing Start drawing one of the items of the target vocabulary on the board, a few lines at a time, and encourage the children to guess what it is. Keep drawing until they have guessed. Continue with other items. If there are children with good art skills, call them to the board to take your role. Guess the flashcard Call one child to stand at the front looking towards the class. Position yourself behind the child and show the class one flashcard. The child should guess the flashcard by asking questions such as What colour is it? Is it an object or an animal? Can you see one in the classroom? Have you got one at home? I spy Teach the children the game I spy with my little eye something beginning with… and say the sound of a letter e.g. d (desk). Tell the children which category of words you are going to use, e.g. objects in the classroom, or people in the school, or pictures from the story pages, etc. The first child to guess has the right to continue the game suggesting a different letter. Miming You can ask individual children to mime animals, emotions, actions of the senses. Give the unit flashcards to some children. They mustn’t show them to the class. Each child in turn mimes what is represented on their card, the class has to guess and say the word. Continue with different children until everybody has had a turn. You can also do this in teams. Give each team a couple of minutes to agree on a mime for their flashcard. The other team wins a point if they understand the mime and say the word correctly. If they don’t, the first team scores. Level 2 Teacher’s Book - Games Bank Picture bingo Ask the children to draw four or six items they have learnt in the unit. Now say the unit words in whichever order you want. If the children have a drawing corresponding to that word, they cross it out. The winner is the first child to cross out all their drawings. Watch my lips Revise vocabulary with this guessing game. Put some flashcards on the board and say that you will move your lips to say one word, but without making any sound. Shape one word with your mouth, exaggerating the movements. When the class guesses the word, take the flashcard off the board. This activity concentrates the attention of the children on the articulation of the sounds of English words. What’s in the bag? Put an object in a soft bag and call some children to touch it and guess what the object is and say the English word for it. This game is especially suitable for a lesson on school items or on food. What’s missing? Stick the flashcards on the board. Point to each flashcard and ask the children to say the word. Then tell them to close their eyes. Remove one of the flashcards and say Open your eyes. The children say which flashcard is missing. Alternatively, put the children in a circle and the flashcards face up on the floor. Let them memorise the position of the flashcards, then ask them to turn around so that they can’t see the cards. Take one card away, the children turn back and guess which card is missing. Snap (a card game) Bring one or two packs of cards to class, depending on the number of children. The children sit on the floor in one or two circles. Choose one child in each group to deal the cards. Each child places their card face down in a pile in front of them. On their turn, each player turns over the top card from their face-down pile. When someone turns over a card that matches a card already face up on another player’s pile, the players race to be the first to call “Snap!”. The player who calls “Snap!” first wins both piles and adds them to the bottom of his facedown pile. The goal of the game is to win all of the cards. Pelmanism is a card game in which two sets of cards are laid face down on a surface and two cards are flipped face up over each turn. The object of the game is to turn over pairs of matching cards. It can be played just by two children or by as many as you want. Blind man’s buff If you have access to a playground or a large room, you can have the class play this game. One child is blindfolded and tries to touch the other children without being able to see them. The others try to avoid him/her, and try to make him/her change direction by talking. They can say, for example, Can you see me? Can you touch me? The blindfolded child says No, I can’t or Yes, I can. Call a name The children hold hands in a circle and walk to the right. The teacher stands in the middle. They all say I like coffee, I like tea, I’d like George in with me. George then comes into the middle and the teacher asks Who do you want to call? Children: Sara. Teacher: OK, let’s all say: I like coffee, I like tea, I’d like Sara in with me. George goes out and it’s Sara’s turn to call someone. Coco says This game is known to English children as Simon says. Use the Coco puppet to give an instruction, such as Coco says “Touch your nose”. Model the action of touching your nose and tell the children to do the same. Explain that you are going to give similar instructions but they must do the action only if the instruction starts with the words Coco says. If Coco doesn’t talk, the children mustn’t move. Give a demonstration by saying Touch your feet: you stand still and so do the children. If there are children unable to do the movements, give them the flashcard of the part of the body and ask them to show it when you give the command Coco says. Hit the word Revise the words from two or three units saying the words while you stick all the flashcards on the board. Call three or four children to line up facing the board and give them a soft little ball each (you can make the balls with tissue paper). Say a word, the children have to throw the ball and hit the right flashcard. Continue with different children. Run to the flashcard Use this to revise the language from any vocabulary set. Put the flashcards in various places around the classroom and play a song or a chant. Tell the children they can move, march or dance around the room as long as the audio is playing. Tell them you are going to stop it suddenly and name a flashcard. They have to run to that flashcard. Swap places Hang some flashcards around the room. Divide the class into groups, assign each group to a flashcard, and invite them to stand next to it. Say the name of two flashcards out loud, e.g. scooter/seesaw. The children next to those flashcards quickly swap places. Level 2 Teacher’s Book - Games Bank Where’s Coco? Take one child aside while the others hide Coco somewhere in the room. The children are going to guide their friend to Coco by singing a familiar song or rhyme out loud when their friend gets closer to Coco, or quietly when he/she moves further away from Coco. TPR activity with balloons Blow up some balloons and tell the children to keep the balloons from touching the floor while you play a song or a chant. Tell them they are “out” if they are the last person to touch a balloon that hits the ground. TPR activity with a ball This can be played with a ball while chanting a rhyme. The children stand outside a circle marked by a rope and take turns to bounce the ball inside or outside the circle, while chanting the rhyme. TPR activity in a circle Put the children in a circle and assign a flashcard each. Play a song or a chant with those words. The children march on the spot when they hear the chorus, they step toward the centre of the circle when they hear their flashcard word, and then step back. Missing numbers 1) Revise the numbers the children learnt in the unit by writing the figures or sticking the flashcards of the numbers on the board. Ask the children to say the words or to repeat them after you. Now take away one flashcard or erase one number, and ask the class to say the whole series in English including the missing number. Continue to erase numbers until the class says all the numbers without any figures on the board. 2) Put the numbers flashcards on the board in the correct order. Call a child to stand with their back to the board, and take one flashcard off. The class says the sequence of numbers skipping the one that was taken off. The child has to guess the missing number and say it out loud. 3) Put the flashcards 1-20 on a heap on your desk and take one out without showing it. The children come to the desk, take the cards one by one and put them on the board in the correct order. They must discover and say which one is missing. Ordering numbers 1) Put the number flashcards in a bag and call one child at a time to pull one out. The child must say the number and put it up on the board. The flashcards on the board must be in the correct order. 2) Divide the class into small groups and give each group the flashcards of numbers 1-10. Ask the children to put them in the correct sequence on the table or on the floor and to read them in English, first counting up (1-10) and then counting down (10-1). Find the numbers Walk around the class putting the number flashcards in different locations. Then call the numbers in random order. The children run to the number flashcard and stick it on the board leaving appropriate gaps to put all numbers in the correct sequence. Number sequence Line up all the children and ask every fifth child to step out. As it might be difficult for them to identify their order in the line up, ask the first in the line to stand at the front, to point at every fifth child and to say progressively five, ten, fifteen, twenty. If there are more children, you may need to add twenty-five, thirty, etc. Choose another child to call the numbers backwards: while he/she calls them, the children step back in the line. Patterns Ask the children to create patterns with any category of objects. They need to recognise the category and to alternate different types within that category, repeating them at intervals. For example, for the category toys, put a number of toys on the floor. They must be of different shape or colour such as toy cars, small dolls, wooden bricks, constructions shapes, crayons. Working together, the children create patterns based on type, colour or shape. You can also use some sets of flashcards from the course alternating, for example, animals with furniture, food with parts of the body, playground items with items from the natural world. Duck duck goose A group of children sit in a circle, facing inward, while another child called “it” walks around touching the head of each child and calling each “duck” until finally calling one “goose”. The “goose” then gets up and tries to catch “it” while “it” tries to run and sit where the goose had been sitting. If “it” succeeds, the goose becomes “it” and the process begins again. Grandmother’s footsteps The teacher starts out as the Grandmother and stands at the end of the room / playground / field. All the children stand at the far end of the place. The teacher turns their back to the children, and they try to race across the area and tag the teacher. Whenever the teacher turns around, the children must freeze in position and hold that for as long as the teacher looks at them. Whenever the teacher’s back is turned, the children are free to move. The object of the game is for a child to tag the teacher, taking his/her place and restarting the game. Level 2 Teacherâ&#x20AC;&#x2122;s Book - Games Bank Musical chairs Put a number of chairs in a circle, one fewer than the number of children. Arrange them all facing outward with the children standing in a circle all around the chairs. Play a song or a rhyme while the children walk around the chairs. When the music stops, each child tries to sit down on one of the chairs. The child who is left without a chair is eliminated from the game. One chair is then removed to ensure that there will always be one fewer chair than there are children. The music resumes and the cycle repeats until there is only one child left in the game, who is the winner. Musical statues Have some music ready and have the children standing anywhere in the classroom or the playground. Start the music and the children start dancing around. Stop the music and all of the children must freeze in whatever position they are in. Watch the children for any movement: the first person to move goes out. Then restart the music and repeat until only one person is left, the winner. Pin the tail on the donkey Stick a picture of a donkey with a missing tail to a wall or to the board, within easy reach of the children. Blindfold one child and give him/her a paper tail with some blue tack on it. The blindfolded child is spun round and round, then stops and tries to pin the tail on the donkey. Sleeping lions This is a useful game to calm the children down after a period of excitement. All but one player (the hunter) lie down on the floor, eyes closed, as if they were sleeping. The hunter moves about the room attempting to encourage the lions to move. The hunters canâ&#x20AC;&#x2122;t touch the lions, but may move close to them, tell them jokes or making scaring noises. Any person who moves must stand up and join the hunter. Pass the parcel Before the game, prepare a prize wrapped up in many layers of wrapping paper. You can place smaller prizes between each layer. Have all the children sitting on the floor and give one of them the parcel. Play some music: the parcel is passed around from child to child. Stop the music: whoever is holding the parcel at that moment removes one layer of wrapping and gets the small prize found under that layer. Restart the music. The game continues until every layer is removed. The last child to hold it claims the main prize. Key Language: family members, toys, colours; numbers 1 - 10 Activities: 1 Tr 1.02 Sing the song. 2 Tr 1.03 Listen and point. 3 Tr 1.04 Listen, point and say. 4 Tr 1.05 Listen, count and clap. 5 How many bricks? Circle. Page 4 Welcome Back! Objectives: • revise vocabulary and structures from Smart Start level 1 Review language: family members, toys, colours; numbers 1-10. Materials: CD1, the Coco puppet, Tom and Izzy cut-outs (template TB pages 84-85). Language competences: The children can name toys and count up to ten. Clap one two three; walk around. children clap their hands three times then walk around the class It’s a Smart Start today! • Use the Coco puppet to say Welcome back class! Explain the meaning. Then look at the puppet and say Welcome back Coco. Have Coco repeat Welcome back class. The children say Welcome back Coco. • Repeat with the cut-outs of Tom and Izzy. • If there are children who are new to the Smart Start course, make sure the class explains who the characters are: a boy (Tom), a girl (Izzy) and a puppet cat called Coco. 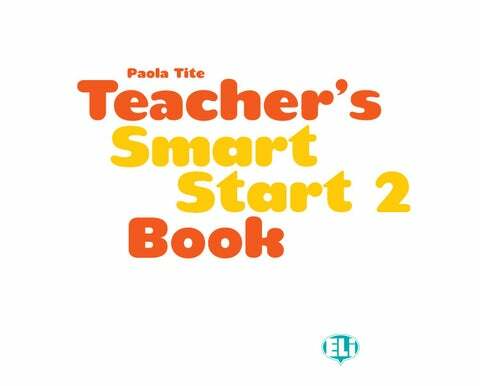 • This is the song that identifies Smart Start. So it can be used at the start of each lesson as a nice way to highlight that it’s time for English. Children who have used level 1 will already be familiar with the song. • Play the song through once doing all the actions. • Play the song again. Encourage the children to copy your actions. • Play the song once more. The children do the actions and sing the words at the same time. They will probably want to repeat this last step a couple of times. Verse It’s a Smart Start, a Smart Start, a Smart Start all the way. Tom, Izzy and Coco are all ready to play! Songs, games, puzzles and stories too. It’s a Smart Start for me and you! • Point to the picture on page 4 and say Listen. Play the audio. The children just listen. • Say Listen and point. Play the audio and show the children how to point to the people in the picture. • Say Listen and point again. Play the audio again. The children point without your help. Audio script Hello, I’m Tom. This is my mummy. This is my daddy. This is my sister, Izzy. This is my brother. This is my grandpa. This is my grandma. Oh and this is my cat, Coco! 3 Listen, point and say. 4 Listen count and clap. • Point to the numbers on page 4 and say Listen. Play the audio. The children just listen. • Say Listen and count. Play the audio and count with the children following the rhythm of the recording. • Say Listen, count and clap. Play the audio again. The children count, clapping their hands to the rhythm. 5 How many bricks? Circle. • Point to the picture and ask the children if they can see some coloured bricks. • Ask them to count the bricks and to circle the corresponding number on the page. • Point to the six bricks on your book and ask the children to say the colours (red, white, yellow, green, blue, purple). • Point to the picture again and say Listen. Play the audio. The children just listen. • Say Listen and point. Play the audio and show the children how to point to the toys in the picture. • Say Point and say. Play the audio again. The children point to the toys and say the words. Page 5 Welcome Back! Objectives: • revise vocabulary from Smart Start level 1 Review language: letters a-z; clothes, toys, colours, food, animals. Materials: CD1, cardboard. Language competences: The children can say the sounds of the letters of the alphabet and identify words with the corresponding sounds. • Use the Coco puppet to say Hello class! Have the class reply Hello Coco! • You can start the lesson with the number chant (Tr 1.05) to help children get back into English by saying an easy sequence of words (1-10) and doing some actions at the same time. 1 Talk about the pictures. • Point to the items and prompt the children with simple questions such as What’s this? What colour is it? etc. They answer with one word (apple, red). More confident children can say It’s an apple. It’s red. 2 Say the chant and point. • Play the chant with the names of the letters of the alphabet. • Play it again as many times as necessary for the children to chant along with ease. Audio script ABCDEFG HIJKLMNOP Q R S, T U V W X, Y and Z Now you know your ABC, come and sing along with me. • Point to the letters of the alphabet, both upper case and lower case and explain that they represent the initial sound of the pictured word. How many letters are there? (26). • Play the audio while the children follow on the page. • Play it again as many times as necessary for the children to repeat with a correct pronunciation. 4 Look and find: 2 colours; 6 animals; 4 foods; 2 body parts; 3 clothes. • Make sure the children understand the instructions. • Ask them to show you the two spots of colour on their books (pink, yellow) and to name them. • Ask them to name six animals and to show them to you on their books (dog, fish, goat, lion, rabbit, zebra). • Do the same with the foods (apple, egg, jam, orange), with the parts of the body (mouth, nose) and with the clothes (hat, socks, T-shirt). You can photocopy the pictures on page 5, stick them on cardboard and cut them out so as to create your own alphabet flashcards. Mix them up and put them in a soft bag. Pass the bag around, each child pulls out a card, says the word and runs to the board to put it up. At the end, call some children to the board and let them help each other to try to put them in the order of the English alphabet. Activity Book 2 page 5 1 Point and say. The children point to each letter and say its name, following the path from A to Z. 2 Sing. They then sing the alphabet song (Tr 1.06 Student Book CD1). 3 Colour. The children colour the pictures. Review Language: letters a-z; clothes, toys, colours, food, animals. Activities: 1 Talk about the pictures. 2 Tr 1.06 Say the chant and point. 3 Tr 1.07 Listen, point and say. 4 Look and find: 2 colours; 6 animals; 4 foods; 2 body parts; 3 clothes.